Remember those infamous Do U Like Me? notes from middle school? Person A would slip Person B (the middle person) a note to give to Person C (you). It would have Do U Like Me? at the top. Underneath the question are the possible answers Yes and No. You checked the box next to applicable answer (or circled the answer), gave the note back to Person B to relay, and waited for a response. We can kiss those simple times goodbye. Social media and online dating sites create more avenues for people to meet. In theory, this isn’t bad. With more avenues to meet people Yes and No are no longer cut and dry. It’s Complicated is now thrown in for a bit of complexity. 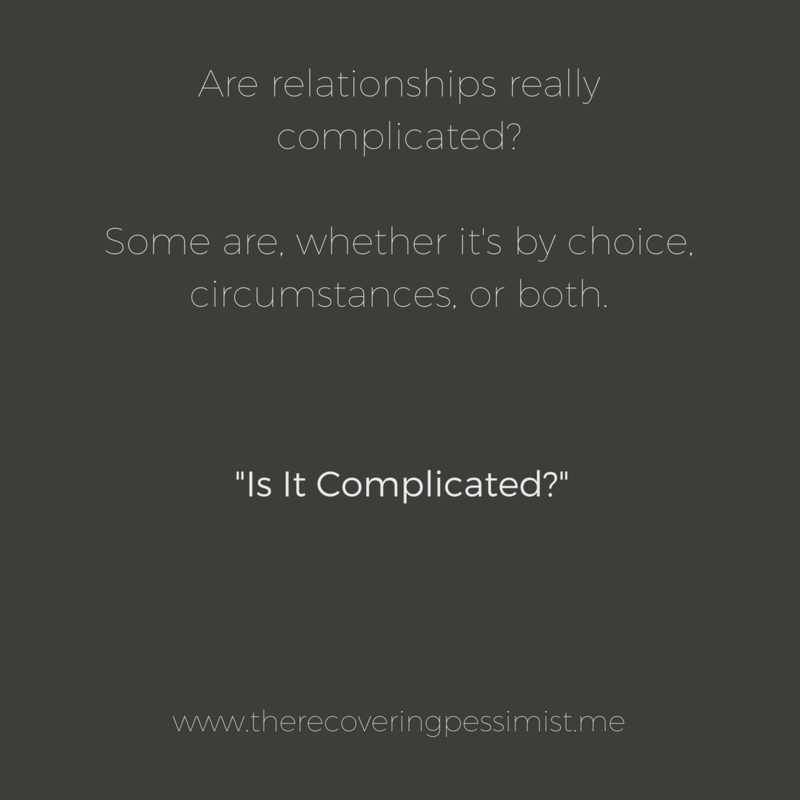 It’s Complicated is usually the response when there are other circumstances preventing a cut and dry answer. I’ll use my personal experience to explain. I was casually dating a guy. While out at happy hour, I had a conversation with a guy about the beers we were drinking. He was really easy to talk to (and it didn’t hurt that he was gorgeous). We exchanged numbers and talked for days. At some point, he asked me about my relationship status. I was still casually dating the other guy, so I explained that it was complicated. I never heard from him after that conversation. It’s tough out here on Single Island. You have to weed out the weirdos in order to find the potentials to date. That’s exhausting in and of itself. You finally find one that tickles your fancy just to find out that his relationship status is complicated. Simple as Yes and No.